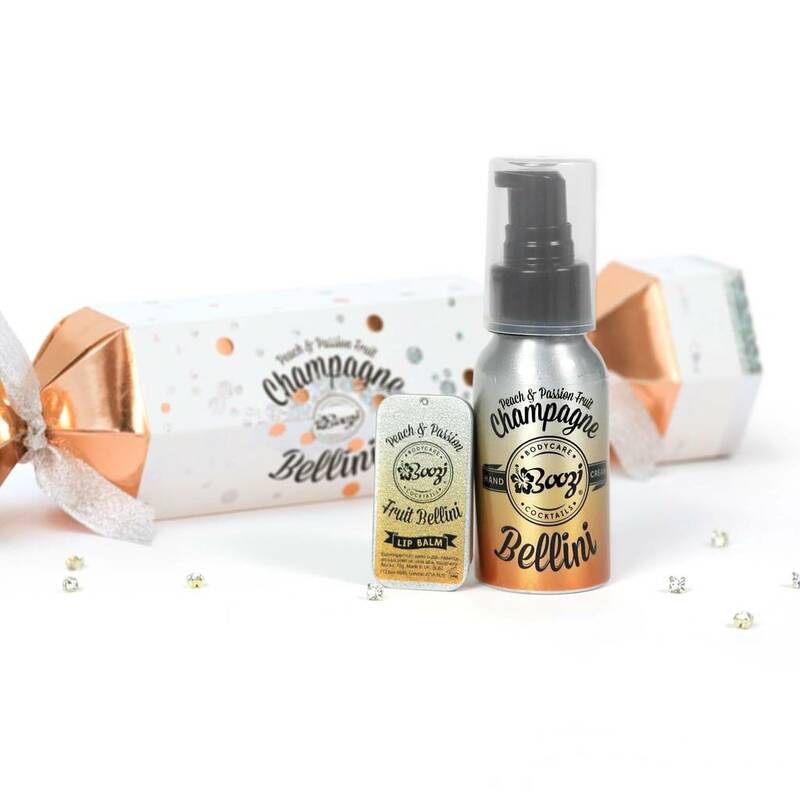 A sparkly Christmas Cracker filled with champagne prosecco goodies! A perfect cocktail inspired gift! It's the most wonderful time of the year! 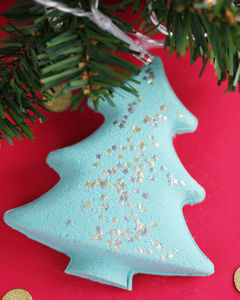 Full of gifts, treats and champagne bubbles! 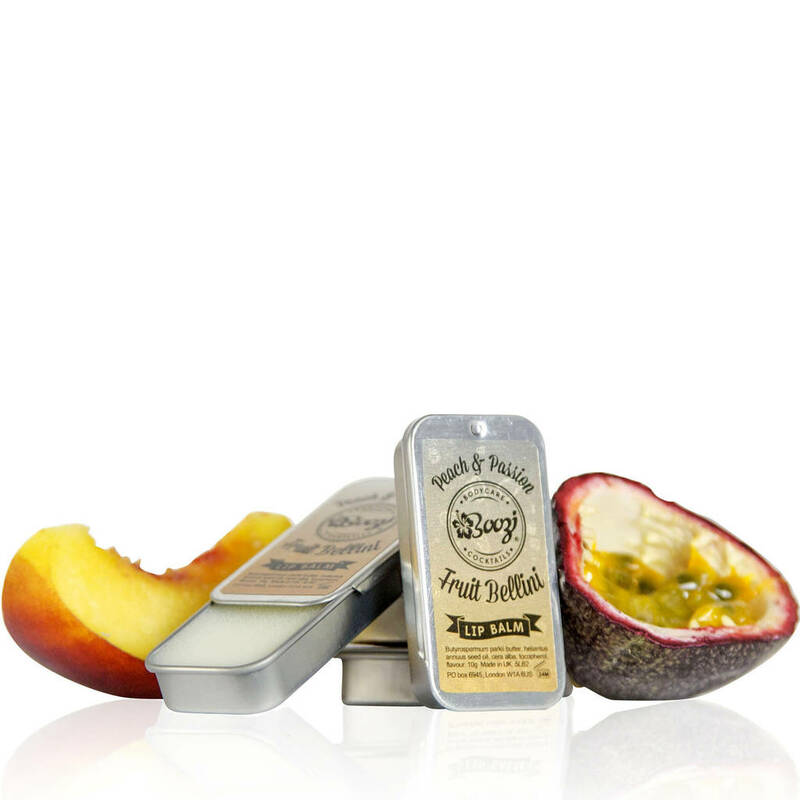 All our hand creams and lip balms are inspired by the fruit blends in cocktails and for this gift we have used the delicious combination of juicy peaches, exotic passion fruit and champagne for a fragrance sensation! 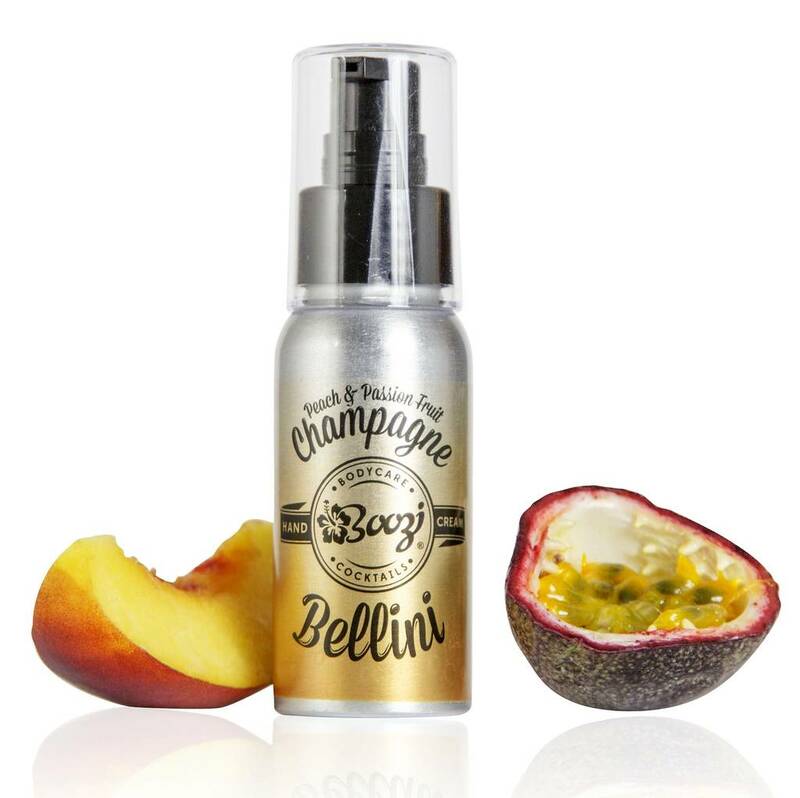 So why not treat someone you love or yourself to a Boozi Body Care Champagne Bellini Christmas Cracker Gift! Contains: 1 Champagne Bellini Hand Cream and 1 Champagne Bellini Lip Balm. 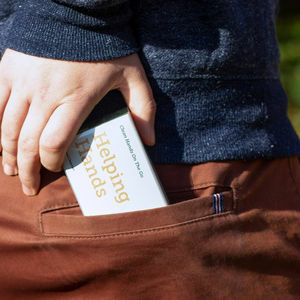 Moisturise those lips and restore dry hands on the go! 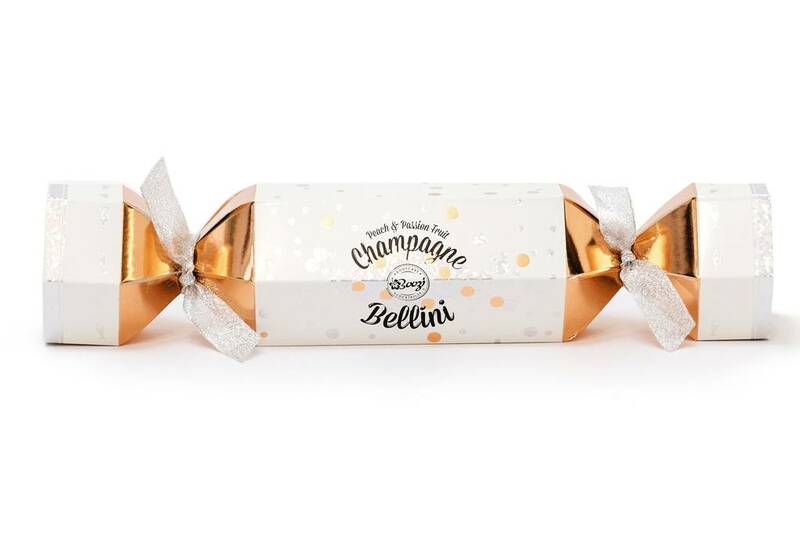 This champagne cracker is perfect for any cocktail or prosecco lover! So why not suprise them with something different this year.... Perhaps you need a gift for a pregnant lady? Well look no more! 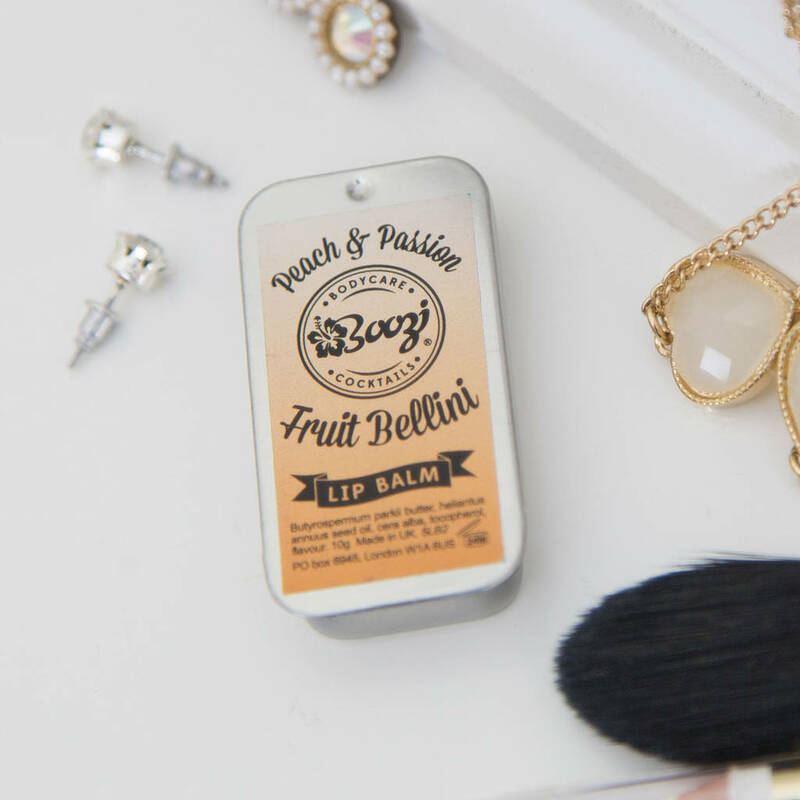 Each 10ml lip balm tin contains - Butyrospermum parkii Butter, Helianthus annuus Seed Oil, Cera alba, Tocopherol, Parfum. None of our products are tested on animals. They are suitable for vegetarians, but not classed as vegan. 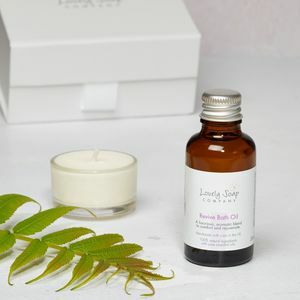 This product is dispatched to you by Boozi Body Care.